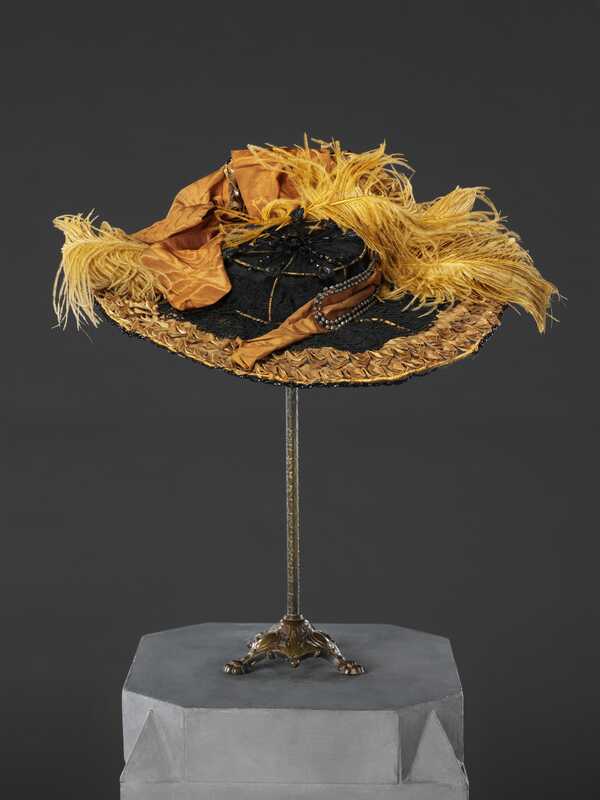 As everyday items of wear hats went through as many changes in style as any other item of clothing. 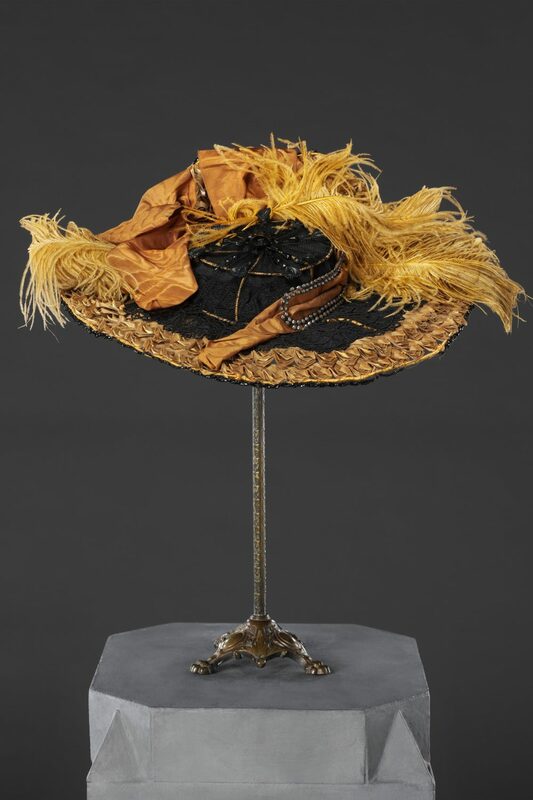 In the mid 1880s the tall crown, narrow brim and upswept trimming of the fashionable postilion stressed its vertical line (see Related Item), yet within a decade the broad brim and small shallow crown of this hat has made it a horizontal platform for its flattened feathers and ribbon. Its coarse fancy straw remained a popular choice of material, with reproduction jet and beads frequently used as trimming. 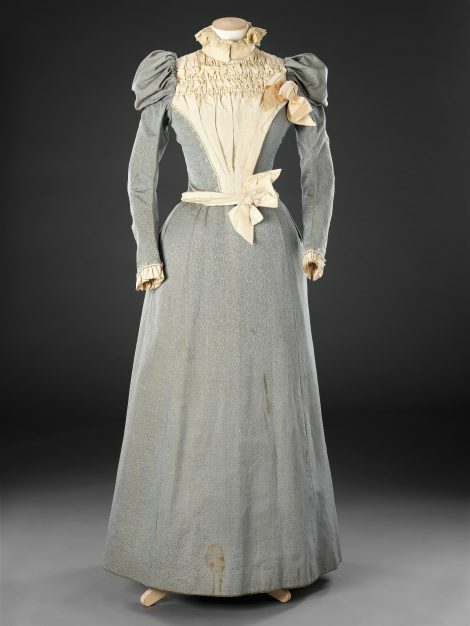 Strident tones of copper, burnt orange and tan similar to those of the feathers and ribbon were evident in other forms of clothing. 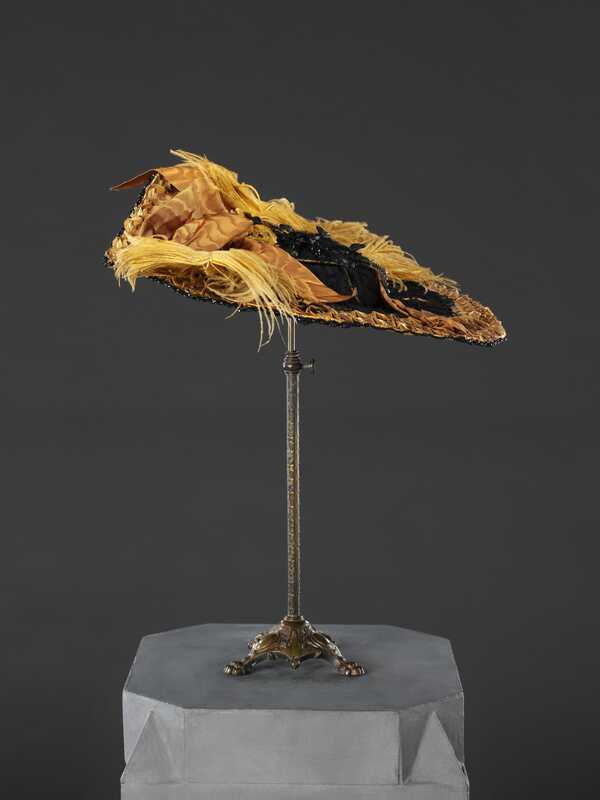 Farnworth, where this hat was bought and probably worn, was a Lancashire town of coal mines and cotton mills in the 19th Century, and is now part of Bolton in Greater Manchester. 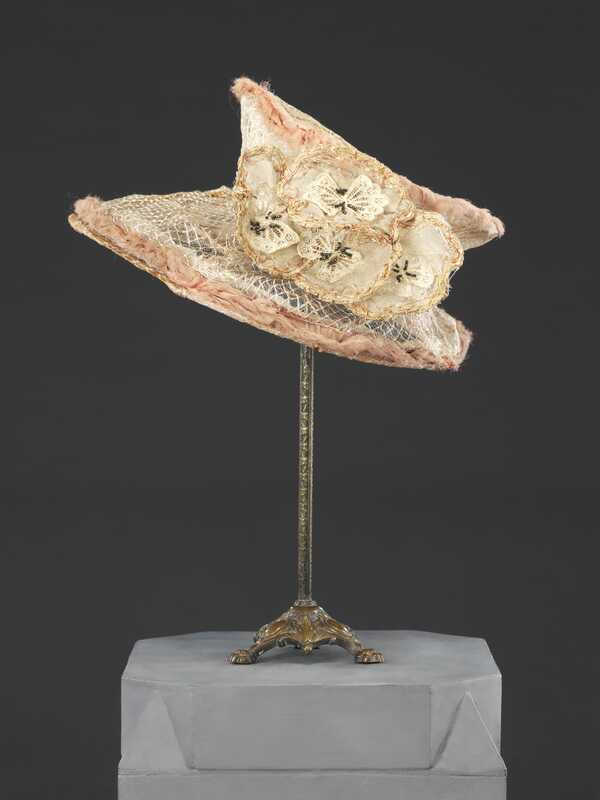 Additional images show a rather more delicate hat of the late 1890s made of cream crin in an openwork design, its brim and distinctly shaped crown edged in gathered pink chiffon and trimmed with five stylised flowerhead trimmings.